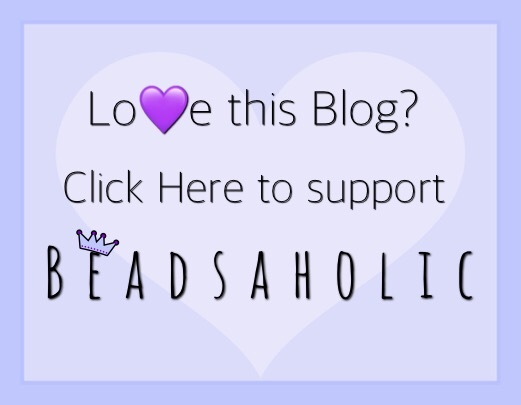 Today Beadsaholic brings a preview of Ohm Beads May 2019 Release! Today is preview day and I must say I’m loving this release! All items are available today for pre-order and will release on May 1st, 2019. Ohm Beads Inner Self is limited to five-hundred and fifty-five (555) pieces and is the forty-eight (48) bead of the month. Retails for €145, price includes vat. “The May 2019 Bead of the Month, a limited edition release. There are multiple variations of embedded glass. Each bead is serialized and engraved with an individual code and is sealed in a box. A mini certificate of authenticity with the number in the series will be included. One’s inner self is only partially exposed to the light of the sun. Sometimes it feels like we are showing ourselves fully, but that is not true. So much remains hidden, and usually by choice. Our choice. When we prejudge the value of self before ever opening up to another soul, we deprive ourselves of seeing ourselves as whole. Think of your whole private self. That self you become when you are alone, safe, comfortable, free of responsibilities and expectation. What are you like? Where are you? The WHY of existence is clear when you are here in the NOW. Ohm Beads Sun Wukong is part of the regular collection and retails for €62, price includes vat. “Sun Wukong, also known as The Monkey King and The Victorious Fighting Buddha, is one of the most popular characters in Chinese legend, from the 16th century until now. The Monkey King was born from mountain stone and he possesses supernatural power. Each of his hairs has magical properties and can transform into clones of the Monkey King himself or into other animals or objects. Sun Wukong with his immense strength can carry a giant staff weighing eight tons, and this special staff can change size or multiply as needed to fight in any method its master chooses. When not wielding this weapon, Sun Wukong shrinks it down to the size of a sewing needle and tucks it behind his ear. Extremely fast, Sun Wukong can leap thirteen thousand miles in a single somersault. He has defeated the dragons of the four seas and won for himself a golden chain mail shirt, a golden circlet crown containing Phoenix feathers, and cloud-walking boots! Labeled as a demon. He defeated the Army of Heaven’s 100,000 celestial warriors and proved himself equal to the best of Heaven’s generals. Sun Wukong ate the Peaches of Immortality, drank the Jade Emperor’s wine, and set all of the Cloud Horses free. The Jade Emperor and the authorities of Heaven appealed to the Buddha and they imprisoned Sun Wukong for five hundred years. Once agreeing to protect a monk, Tan Sanzang, on his pilgrimage, Sun Wukong is freed. During this long journey, he learns about virtues and the teachings of the Buddha. He is granted Buddhahood and becomes the “Victorious Fighting Buddha”. Ohm Beads Soak is part of the regular collection and retails for €52, price includes vat. “BATH (noun) – a place to wash away worries. Often times we forget to take moments for ourselves to collect our thoughts and ease our stresses. Water cleanses the soul and bubbles bring you smiles. When you think of relaxation, of washing away the stress of the day, of turning off the world – think bubble bath. Ohm Beads Tomte Gnome is part of the regular collection and retails for €47, price includes vat. “The Tomte (in Swedish) or Nisse (in Danish) is one of the most popular creatures in Scandinavian folklore. According to tradition, the Tomte Gnome lives in the houses and barns of a farm, and secretly acts as its guardian. If treated well by the family — it is customary to leave out a bowl of porridge with butter, especially at Christmas — then the Tomte Gnome will protect the farm and its animals. He may even magically help with the chores. #wecanonlyhope But, if offended by the farmer, the Gnome will play mean tricks, make items disappear, or bring misfortune. Despite his small size, the Tomte possesses enormous strength, can make himself invisible, and sometimes he bites. So, be kind and kindness will find you. Are you a part of OHMily? Then perhaps YOU could design the next OHM bead! This Tomte Gnome bead was designed as part of our fun collaboration with fans of OHM beads called #OHMLAB. OHM solicits ideas from our fans — you, the OHMies — then, we will choose one lucky fan’s design idea to be developed and manufactured into an actual OHM bead. How cool is THAT!? Ohm Beads Angel Rubber Duckie is part of the regular collection and retails for € 52, price includes vat. “Not every rubber duckie is cute and squeaky. Like their human owners, each rubber duckie has its own personality and motivations. Some duckies are mischievous, sneaky, naughty, or even, well, a little evil. Yet, other rubber duckies are cuddly, funny, affectionate, loyal, or just pure joy and goodness. Ohm Beads Henri The Hedgehog is part of the regular collection and retails for €57, price includes vat. Ohm Beads Spiked is part of the regular collection and retails for €52, price includes vat. “There are seventeen species of hedgehog across Europe, Asia, Africa, and there are no hedgehogs native to Australia or the Americas. They have to worry about predatory birds, especially owls, who like them for lunch! Though, hedgehogs are mostly immune to snake venom. Ohm Beads Navy Whip Bracelet is part of the regular collection and retails €36, price includes vat. LOVING the Inner Self, Henri the Hedgehog and Spiked! Over all, I think many of you will like this release as much as I do! I have received a few items and will have them for review here on the blog soon. If you would like to pre-order then you may do so at any of the following links below. ← Ohm Beads My Precious Skat Too Review With GOT Theme! I love that Tomte Gnome! I like the Inner Self bead but won’t buy it due to the price and the blind bag. At that price, I want to pick the bead myself. I think I will buy the Tomte later this year, maybe for the start of Fall or so. Yes, being able to pick would be nice. I believe the glass is pretty random with lots of different designs. The Tomte is so cute. Great choice! 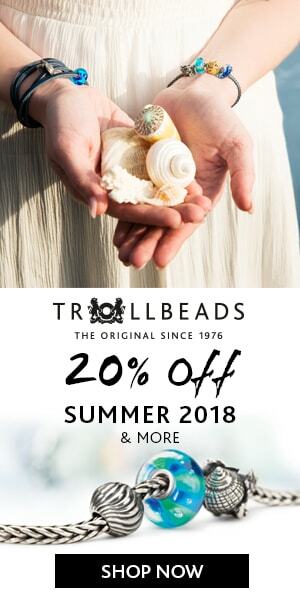 Trollbeads USA BOGO 50% off Bangles 25% off Spacers!